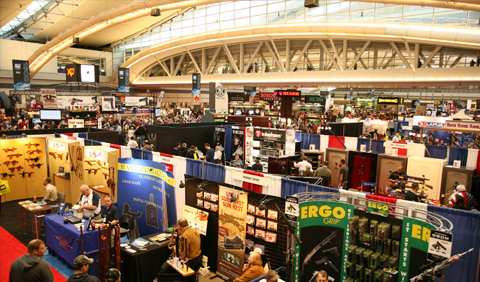 The National Rifle Association, better known as the NRA, will be holding its 143rd Annual Meeting and Exhibits at the Indiana Convention Center in downtown Indianapolis from April 25th to April 27th. Stag Arms will be one of over 600 exhibitors covering over 400,000 square feet of exhibit space. Between educational seminars and celebrity appearances, there are a number of fun-filled special events for the entire family. Events include the Country Jam IV concert, charity dinner and auction and don't forget the Stand and Fight rally. There is also a National Prayer Breakfast on the final day of the expo to bring all attendees together. In addition to manufacturers' products there will also be an Outfitter section, offering exotic hunting opportunities of a lifetime, and jaw-dropping displays of priceless firearm collections from generations of gun enthusiasts. Other exciting NRAAM displays include knife collections, wildlife art galleries, shooting accessories, hunting gear, and a number of ATV’s. Stag Arms will be at Booth 4009 with our well-respected, top of the line AR-15 rifles on display and factory staff to answer questions. We have quickly become a market leader within the United States for these popular guns and we take our service to our customers very seriously. With this in mind, we will also be holding daily giveaways at our booth for everything from one of our rifles to some great branded merchandise. Beat the crowds; make sure to stop by and see us early! NRAAM Exhibit Halls are open from 9 in the morning until 6 in the evening. Registration will be for 4 hours on Thursday, April 24th and Stag Arms will be there in the middle of it all at Booth 4009.